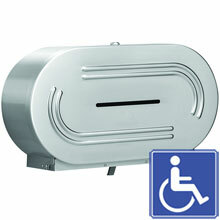 Double Roll Toilet Tissue Holder w/ Hood - Recessed - 5.5" Roll Dia. Bradley dual-roll toilet tissue dispensers. 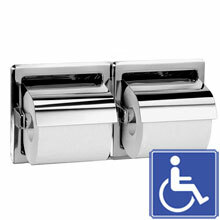 Bradley offers a full line of toilet paper holders and dispensers for non-controlled delivery and controlled delivery of toilet paper.